Windows 10 is adding an extra partition to many users' systems as part of the upgrade process. It does this by reclaiming data from the end of C: . 1. Incremental / Differential backup sets will not be able to append to chains from before the upgrade. Reflect will handle this automatically by creating a new full backup. However, this will not include the new Windows 10 partition. You should modify your XML definition to include this new partition to ensure that you can recover your system successfully. 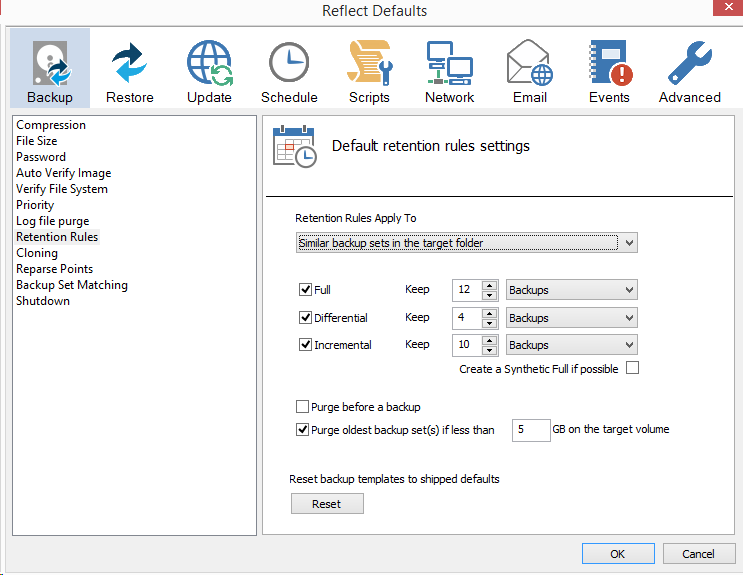 In the Macrium Reflect Defaults there is an option under the Backup settings called Retention Rules. Where it says "Retention Rules Apply To", if you have this set to Similar backup sets in the target folder, then new backups created post-Windows 10 upgrade may not be purged as the new backups look to be dissimilar i.e. from a different source. Where it says "Retention Rules Apply To" you can change the option to All backup sets in the target folder. This option determines how Reflect handles retention conflicts when you have backups from different sources going to the same target folder (which is effectively what has happened here with the resizing of the C: partition). By changing the setting you can have retention purge image files in that folder regardless of the data the image backups contain. Use your judgement as to which option is right for you. It may be simpler to delete the old backups manually. Thanks for that "heads up", Scott. I haven't seen that happen myself, neither with the MS "free upgrade" process (Win8.1 -> Win10) nor with a fresh Windows 10 installation thereafter. Perhaps that's because all of my OS drives are set up for old-style MBR booting and, in the case of fresh installs, my habit is to create an empty active partition prior to running the OS setup process. Have you noticed whether that Win10 "extra partition" quirk occurs with UEFI/GPT boot setups in particular, or is it being experienced as a more general phenomenon? I strongly suspect that you're right. Most of the things Microsloth inspires in the name of "progress" seem to me more like encroachments on the whole original concept of "personal computing". I've never felt any compulsive inclination to exceed the 2TB limit on MBR drives for installing the OS itself. And, as for that wonderful new "secure boot" feature (a.k.a. DRM restrictions) in some MS-mandated UEFI implementations, the less said the better so far as I'm concerned. 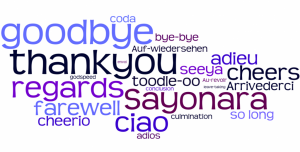 Arvy helped me by leading me to this post. After upgrading to Win10 I did have to create a new full backup. I also think it might hav been involved with deleting my v5 backup definitions and re-creating with Macrium v6 at the same time. However I now have 7 partitions on my mrimg file whereas befor update I had 5. Looks like two were added. With the recently released Windows 10 Professional Preview version 1511 (OS Build 11082.1000) Reflect v6 scheduled jobs fail to execute. I found that I had to edit the entries in the Windows' Scheduler and change the "Configure for:" to "Windows 10." Unfortunately when this is done the "Schedule For" entries in Reflect are lost. Reflect v6 Scheduled jobs running under Windows 10 Home 1511 (OS Build 10586.36) are unaffected. Since Build 11082 is beta I expect that Macrium will address any problems. The Windows "Insider Preview" (build 11082) scheduler issue is discussed in more detail in this forum thread. As stated by Nick in his reply there: "There appears to be a problem with the Windows Task Scheduler in this build that I'm sure will be resolved by Microsoft before public release." Personally, given Microsoft's Win10 track record to date, I'm less sure of that than he is, but we'll just have to wait and see. I just deleted it. I don't need it. I removed it since I use MR! As Scott has noted in this topic's OP, the Windows 10 upgrade process may add a partition by reclaiming space after the OS ("C:") partition on your hard drive. The additional partition is most likely a WinRE recovery partition (usually identified by a $WINRE partition marker) and, if so, it may be used by Windows 10 for some reset and advanced start-up repair options as shown in the screenshot below. 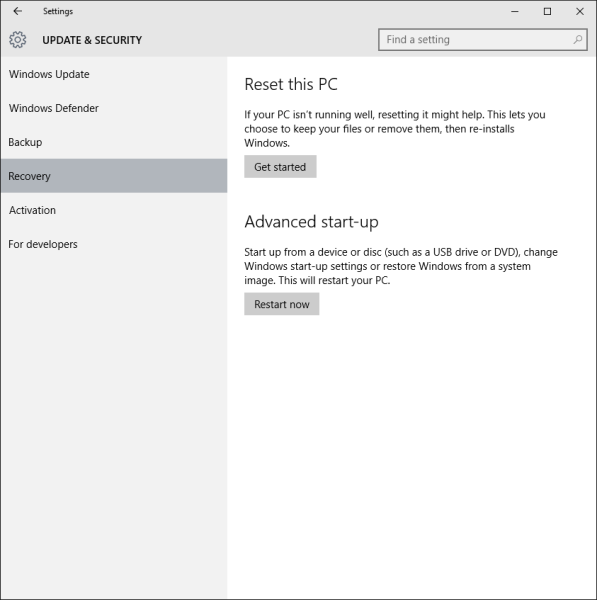 WinRE is also included in the boot configuration data (BCD) store for Windows 10 to use in rebooting automatically if it detects a post-bootmgr start-up problem, but it is not usually visible as a boot option during normal system start-ups. Reflect's option to "Create an image of the partition(s) required to backup and restore Windows" excludes any such $WINRE partitions, presumably on the basis that they are not actually required for normal Windows OS start-ups. Personally, I disagree with Macrium quite strongly about their whole exclusionary implementation of that option and Microsoft seems to think that WinRE is important, but you'll have to decide for yourself whether it matters or not. If you want to add the $WINRE partition to your backup images, you'll have to use the other Reflect option to "Image selected disks on this computer" and include it in your own selection.